I am thrilled to be presenting a full-day preconference session before the PASS Summit, on October 31st. Please join me for a deep tour of the new capabilities and BI platform integrations for SQL Server Reporting Services 2016 & 2017. The session will also review the essential skills and tasks to setup and configure the report server and web portal, report design and modern report solution planning. The 2016 product release was a big upgrade that, once again, brought SSRS into center stage as a market-leading reporting and dashboard design tool for operational and BI reporting. The big news was that SSRS reports truly run in all modern web browsers and work on mobile devices and all desktops in a new modern web portal. The introduction of Mobile Reports, formerly known as Datazen, gives mobile device users interactive, tactile and actionable dashboard style reporting on all the popular mobile smartphones and tablets. The 2017 product brings even more goodness with the integration of Power BI Report Server, on-premises Power BI report integration in a cloud-free platform. Join Paul for a full-day pre-conference session where you will explore new capabilities and learn to integrate modern reporting into your data platform. What’s new in Reporting Services 2017 (and 2016)? Register for the PASS Summit and preconference here. Also, look out for a sneak peek of this and many other sessions in the 24 Hours Of PASS which will run continuously through July 19th and 20th. Watch the PASS Learning Channel for announcements. 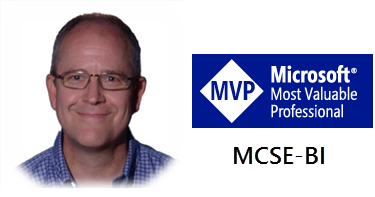 This entry was posted in 24 Hours Of PASS, MVP Community, PASS, SQL Server, SSRS Administration, SSRS Design. Bookmark the permalink.